A selection of fine pewter cabinet hardware from Finesse. 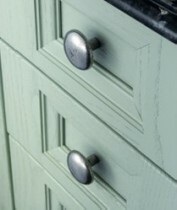 Finesse pewter hardware has become incredibly popular, especially for hand fitted kitchen, bedroom and bathroom cabinets. The solid pewter construction gives a beautiful finish, that will look fantastic on any natural or painted timber. 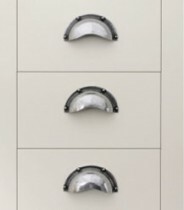 Our Finesse range includes cabinet knobs, cup & drawer pulls and pull handles. 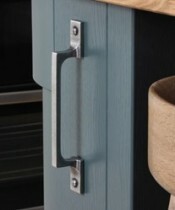 Finesse also do a full range of door furniture that is not listed on our website. Please call our sales team on 01799 520640 for more information.